Veggie Revolution: Blue Ridge Red Salamander! Yowza! 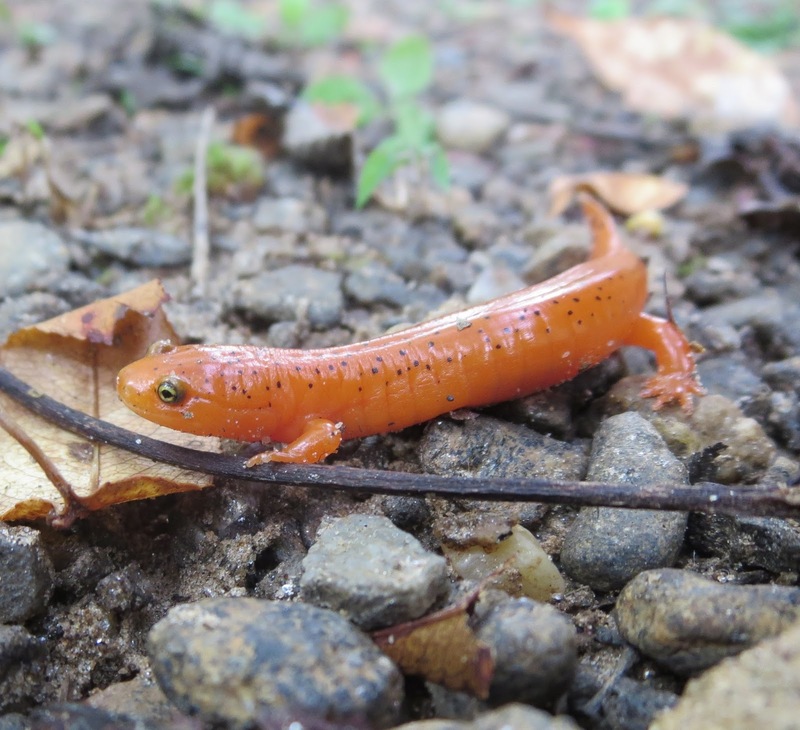 So excited to see this amazing Red Salamander (Pseudotriton ruber) last month. About 10 miles from Mount Mitchell in North Carolina, the highest peak east of the Mississippi. I think it's Pseudotriton ruber nitidus, the Blue Ridge Red Salamander. It lacks the black chin of other Red Salamander subspecies. Red Salamanders are in the family of lungless salamanders (Plethdontidae). They have neither gills nor lungs, but breathe through their skin! Their skin has to stay moist for them to breathe, which is one reason salamanders are more common at higher elevations with greater rainfall and cooler temps. The lungless salamanders are a huge family of salamanders in N.C. I haven't seen a Pseudotriton in 20 years! I'm grateful they're still alive. They look similar to the much more common Red Eft (Notophthalmus viridescens). But the spots on the eft are little black circles with red dots in the center. Also similar is Gyrinophilus, another NC salamander that's red. But Gyrinophilus has a line of pigmentation between the eye and nostril.